"It&apos;s a new era. No rules, no destiny. Just utter and complete freedom." "Some of you have taken your skill set to a whole new level..."
It is unknown whether Death&apos;s is aware, or cares, about the rogue reapers activities. Invisible to humans unless the person is near death or in spirit or astral projection form. May also become visible at will to mortals. Capable of altering human perception to make themselves appear any way they want. Can possess humans in order to be able to physically interact with living humans. Can also be possessed by demons, although the only demon that was known to be capable of doing this was Azazel, who is more powerful than the average demon. Can be killed by an angel sword. A vampire is created when a person ingests vampire blood, but the transformation is not complete until they feed on human blood. Once turned, they suffer from bloodlust and must feed on blood, human or animal, to survive. Unlike folkloric vampires, they do not require an invitation to enter a home and are not killed by sunlight. They also prefer to live in packs in locations called nests, and will mate for life. After death, vampire souls go to Purgatory. The Alpha Vampire was the very first vampire and he appears to have a psychic connection with other vampires. By the year 2006, vampires had been hunted so intensively and become so rare that John Winchester had thought they were extinct. But in the year 2010, the Alpha Vampire uses his psychic connection to encourage vampires to feed on blood from blood bags and focus on increasing their numbers. Dean kills all the vampires he finds in one nest, but it is unknown how many other nests may have been created or increased their numbers. A cure for vampirism exists, but only if the vampire has not yet drunk human blood and can acquire the blood of the vampire that turned him or her. Sunlight - It&apos;s not deadly, but can cause a nasty sunburn. Vampires prefer to sleep during the day. Dead man&apos;s blood. Large quantities can paralyze a vampire and cause wounds that are slow to heal. Angelic powers - Angels can burn vampires from the inside out with a touch, killing them. The Colt - A special bullet fired from the Colt can kill a vampire. Bloodlust - A vampire must feed on blood, human or animal, to survive (It is unknown how long vampire could survive without feeding before it would starve to death, or if such a thing is even possible). Burning saffron, skunk&apos;s cabbage and trillium blocks a vampires scent. John Winchester gives these to Dean to put on the fire. He also tells Dean to dust their clothes with the ashes to stand a chance of not being detected. Werewolves are humans that transform into wolf-like creatures under the influence of a full moon. The infection and resultant affliction is commonly referred to as lycanthropy. When they are in wolf-form, they appear human except for their yellow eyes, fangs, and claws, and they use their superior abilities and enhanced senses to hunt humans and eat their hearts. They do not remember transforming or any of the details of what they&apos;ve done as a werewolf once they return to human form, but it seems that whatever subconscious desires or fears they feel as human translate into action when they are werewolves. The only confirmed way to kill a werewolf is by piercing its heart with silver. 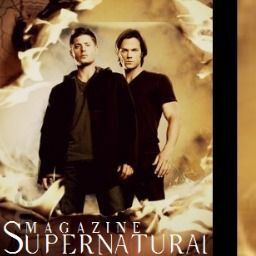 An entry in John Winchester&apos;s journal posited that a werewolf could be cured of lycanthropy by killing the werewolf who infected him or her, but this is disproved by Sam and Dean, and the fallacy of the theory is in fact well known by other hunters, such as Bobby. When they are killed in werewolf form, they revert back to their human form. After the Apocalypse is averted, it seems that werewolves no longer transform only during the full moon. Also, Crowley reveals that there is an Alpha Werewolf, but as of the year 2010 he has not been located. Pureblood werewolves are different than other werewolves. The closer they are to the Alpha Werewolf in generations, the more they can control themselves. These werewolves can transform at any time, their human side has more control in wolf form and they can chose to feed on animal hearts instead of human hearts, but once they get a taste of a human heart, it is nearly impossible to resist the urge to feed on humans. Sam and Dean encountered werewolves when they were quite young. In 1995, Dean tells Sonny the bruises he has are from a werewolf. In 1997, Sam writes an essay for English class about a werewolf hunt his family was on the previous summer. 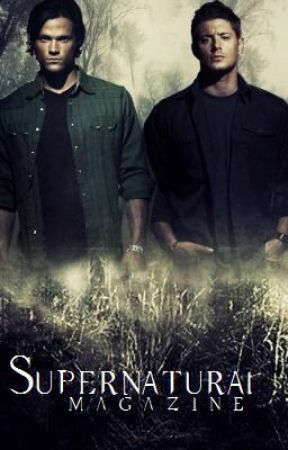 The Winchesters hunted werewolves in 2.17 Heart and 8.04 Bitten. Have superior strength and agility. Have elongated, sharp fangs and claws. Have enhanced sight and smell. Can infect others with a bite so that they turn into werewolves themselves at the next full moon. Silver - Piercing a werewolf through the heart with silver will kill it. Vamptonite - Edgar said that vamptonite would kill werewolves along with vampires and ghouls.